Through the Town of Babylon Adopt-A-Park Program, residents of all ages can take an active role in caring for their community parks, beaches, and playgrounds. Schools, local businesses, community organizations, and scouting groups can work together to create cleaner, more attractive parks. Working with the Town of Babylon, their groups “adopt” a town park by picking up litter and improving the appearance of our recreational areas. The town provides garbage bags, rakes, brooms, shovels, and other equipment to the volunteers. The work by Adopt-A-Park volunteers helps change attitudes toward littering. In addition, many scouting groups earn community pride badges for their work. Town recreational areas are normally adopted for one day only. 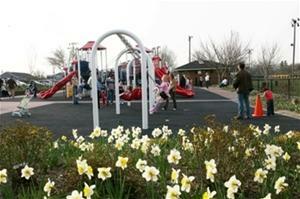 However, in some cases, town parks have been permanently adopted. In exchange for this commitment, the town erects a sign at the facility recognizing the adopting organization for their work in the community. The town will provide a trash bags and gloves to the volunteers. In addition, many students and scouts earned community service hours and community pride badges for their efforts. All participants receive a Certificate of Appreciation for the Town of Babylon Supervisor. Volunteers of all ages may participate.